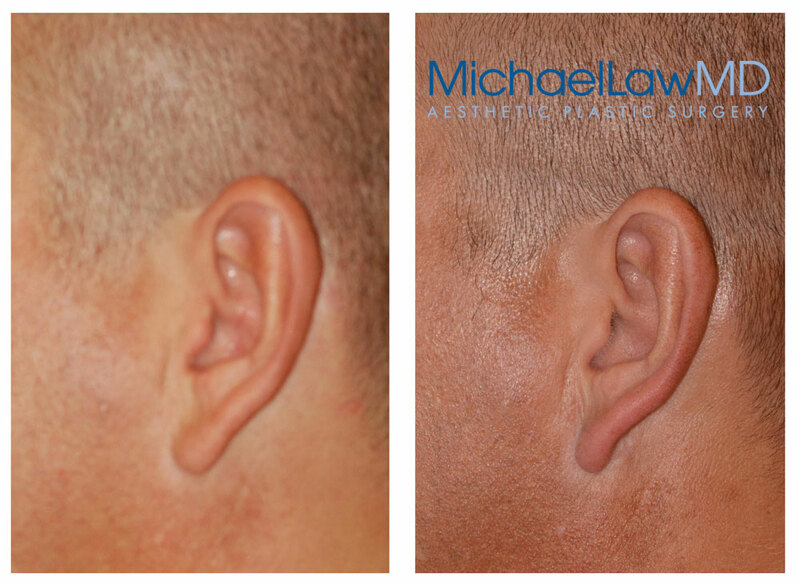 In some cases the surgical incisions (and resulting surgical scars) extend posteriorly: in the depth of the crease behind the ear and, when required, along the occipital hairline. 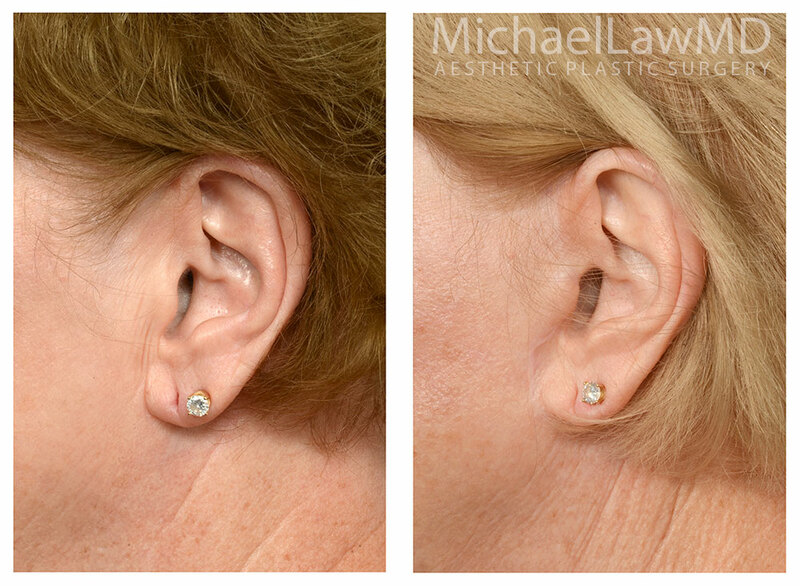 This portion of the facelift/necklift scar is generally not visible in a routine lateral close-up photograph of the ear. 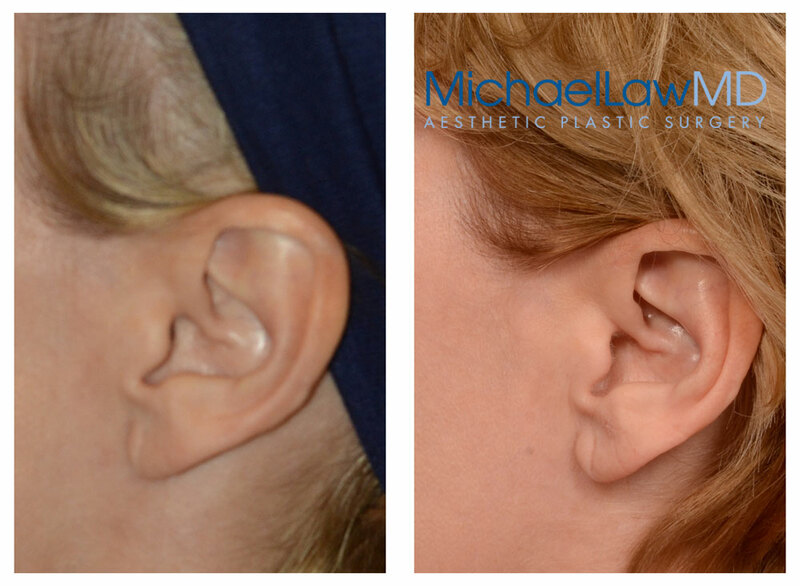 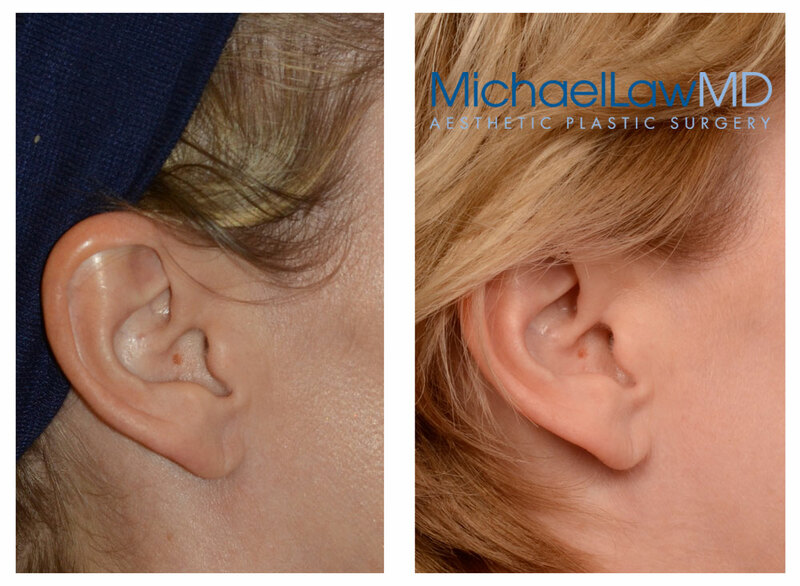 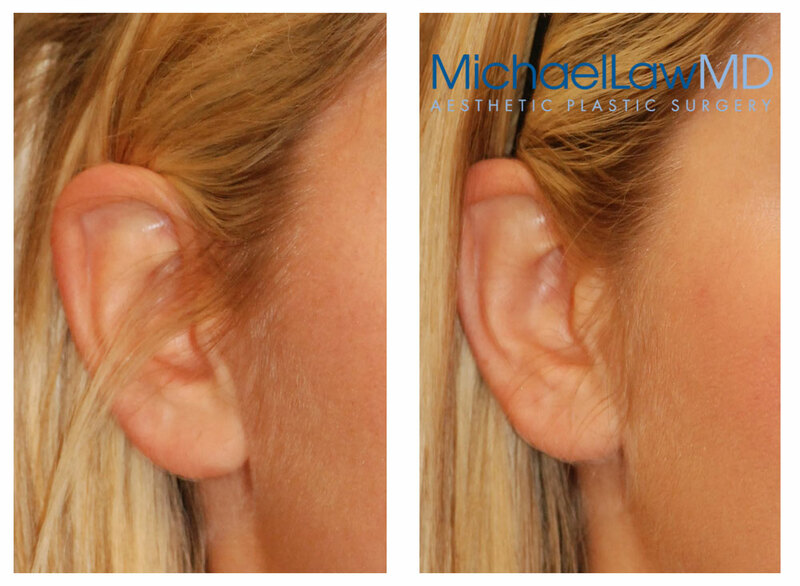 12 months after a face lift, view scarring around the ear. 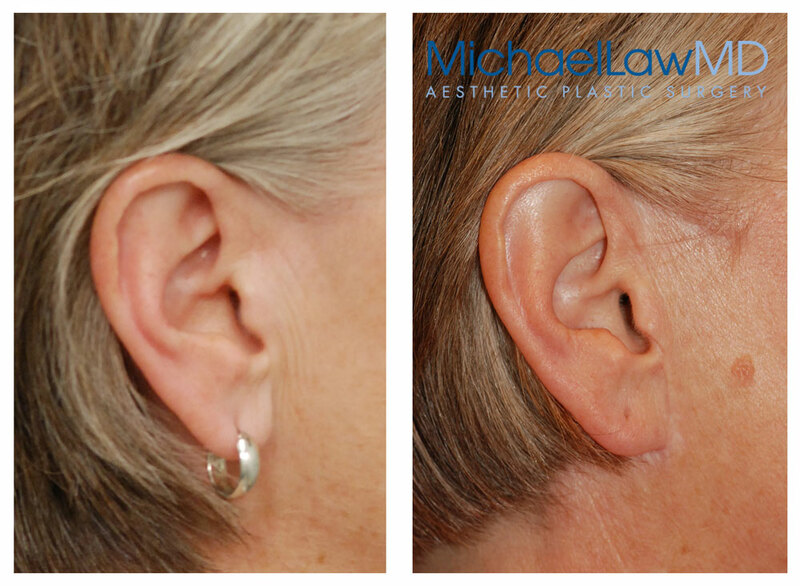 This patient had pre-existing facelift scars which were revised and improved as part of the incision closure. 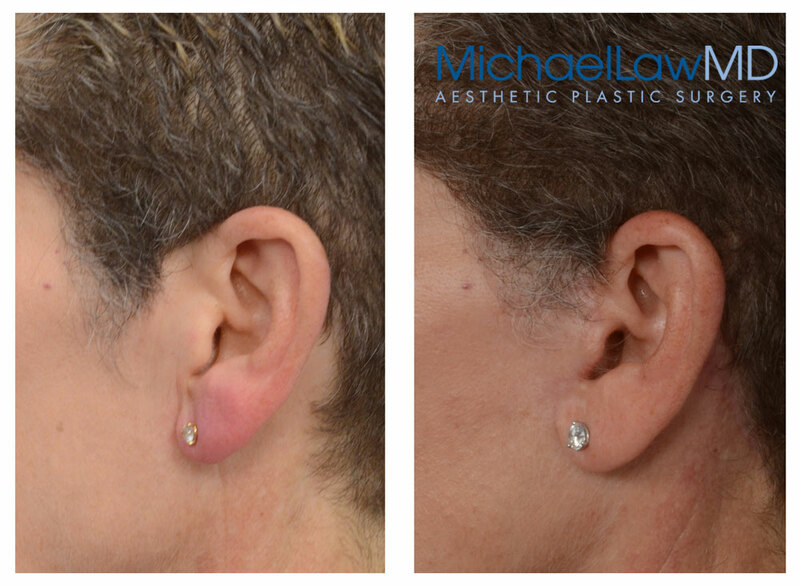 Raleigh Cosmetic Surgery. 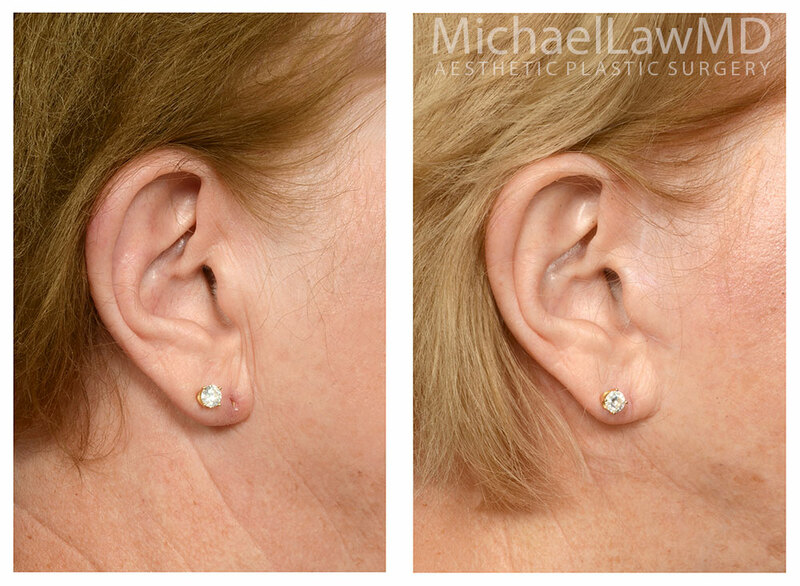 All cosmetic surgery procedures are expertly performed by board-certified plastic surgeon Dr. Michael Law, located in Raleigh, North Carolina. 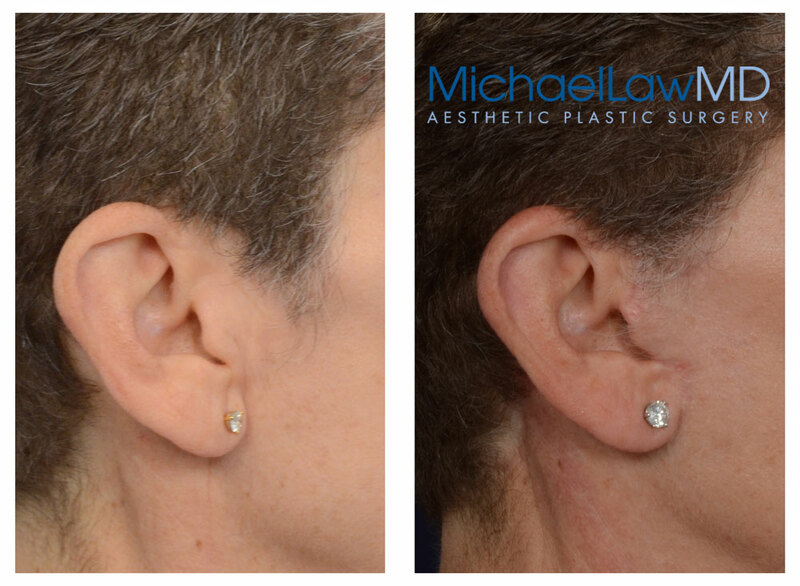 Dr. Law also offers medical spa treatments at his Raleigh plastic surgery center and day spa located near Triangle Town Center and North Hills Mall. 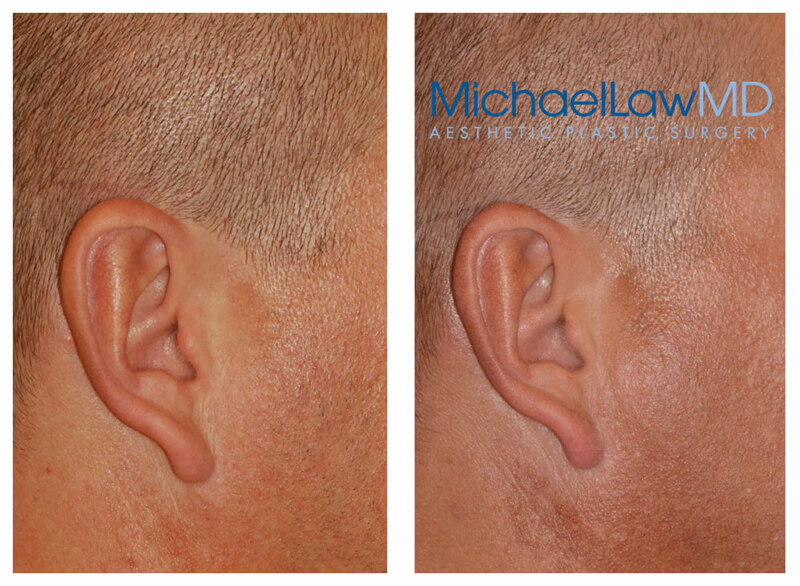 The information presented in this website is for educational purposes only and should not be construed as medical advice. 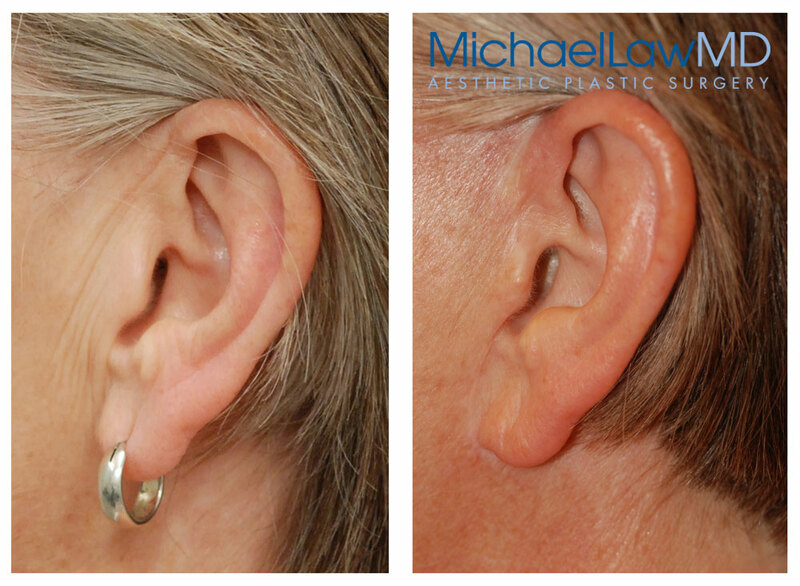 Serving Cary, Chapel Hill, Durham, & Raleigh.